I showered in the buff as required, then shimmied into my bathing suit and donned a robe. I stepped outside and shed the robe. Brrr. Quickly, I walked down some steps into an immense pool surrounded by black lava fields. Aaah, blissful relaxation. The warm water level nearly came up to my shoulders, and the lagoon bottom was powdery soft because that’s where the silica falls. Iceland’s most popular tourist attraction, the Blue Lagoon, is a natural wonder, but it came about completely by accident. In 1976, a pool formed at the site of the waste water from the newly built Svartsengi geothermal power plant. The minerals slowed drainage. The pool was thought to be unsafe for bathing, but workers would sneak in from time to time. They claimed it helped their skin. By 1981, investigators documented the water’s healing powers for psoriasis and many more came to soak. In 1992, the Blue Lagoon Company was established and the spa-like facility was opened for the public. 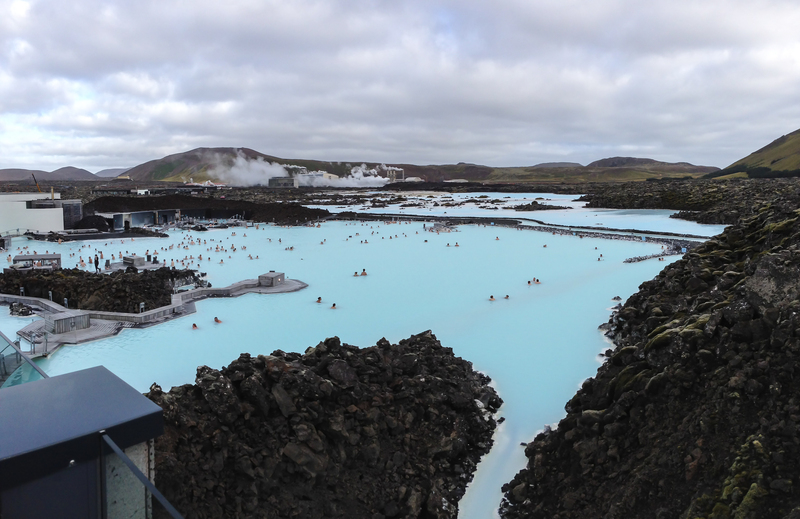 Blue Lagoon Spa with Geothermal Plant in the background. The Blue Lagoon is a dramatic free-form pool, filled with a milky shade of blue water, surrounded by an ancient black lava field. Iceland sits on a fault line and was created by volcanoes. The level of magma (or earth’s core) remains much closer to the surface than usual. (This is true in Yellowstone Park as well.) Thus, you’ll find geothermal power plants that convert raw steam into electricity and heated water. 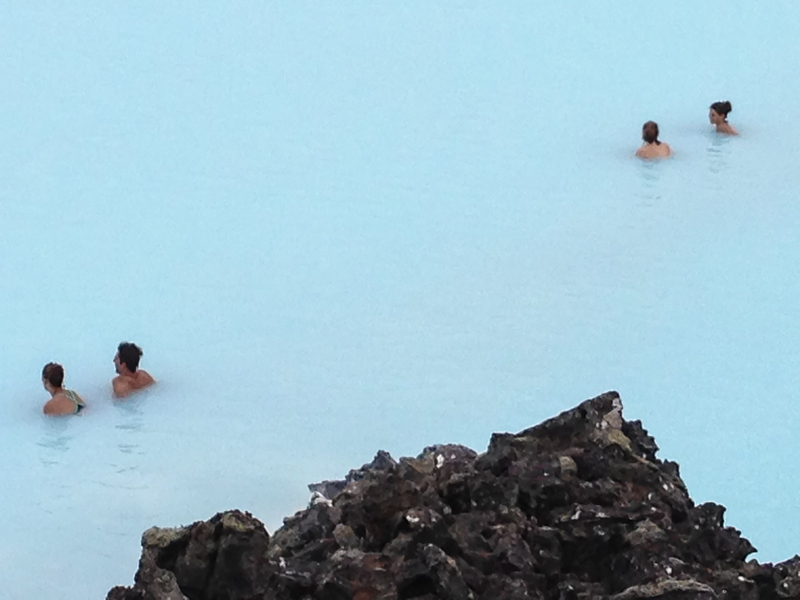 The Blue Lagoon’s buildings and surroundings are, of course, man-made, but you feel like you’re in a natural lake. However, one is surrounded by bleakness instead of grass. The water is luxuriously warm, about 100-102 degrees, and rich in minerals such as silica and sulfur. The entire complex is renewed from output of the power plant every two days. Before entering, I was required to shower sans bathing suit, as Iceland has strict hygiene codes. Afterward, I braved the cold outside air and entered the pool. I could immediately feel the muscular tension release throughout my body and felt gloriously cocooned. In one area of the sprawling pool, the facility provides a supply of silica mud, as it is called, and you apply this to your face and shoulders. You let it dry for 5-10 minutes while you continue to unwind, walking slowly around. You can explore a cave area or climb out and go into a sauna. I stayed in and rinsed the mud off my face in the water. I then proceeded to another area that gave out small round globs of skin softener, which they referred to as algae. You roll this stuff over your face and neck as well. The treatment stays on for another 10-20 minutes. Time flies because you can meander over to an in-pool bar and get a cocktail, glass of wine or beer. You use your high-tech rubberized entry band (that locked your locker) to charge the drink! It’s sheer decadence: a glass of wine in a warm pool tends to eliminate all worldly concerns. Eventually, I had to get out, but I must say this dip was one of the most memorable moments I’ve ever experienced on a trip. Sure, it’s self-indulgent, but you’re in Iceland. You absolutely must. 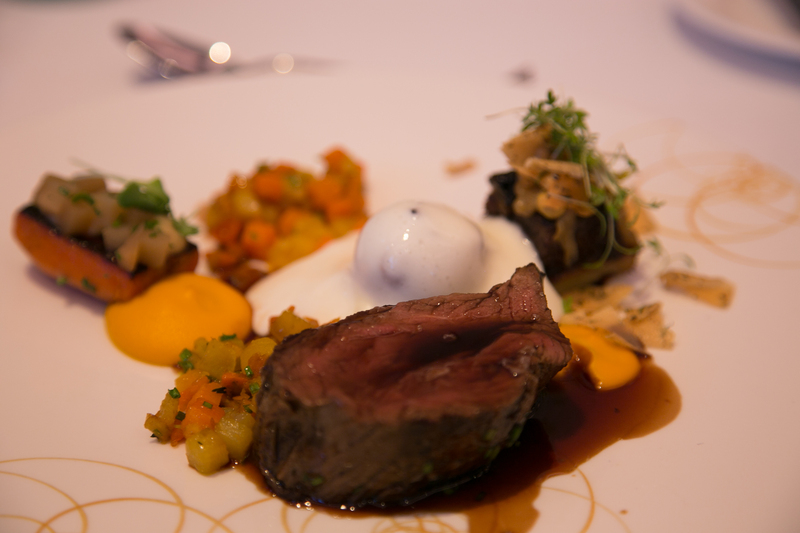 Afterward, I dined at Lava, the Blue Lagoon’s full service restaurant. During the day, you can eat in your bathrobe, but things get a little fancier at night. Head chefs Þráinn Freyr Vigfússon and Viktor Örn Andrésson lead the culinary staff. They are both members of the Icelandic culinary team, with Þráinn captaining the team. 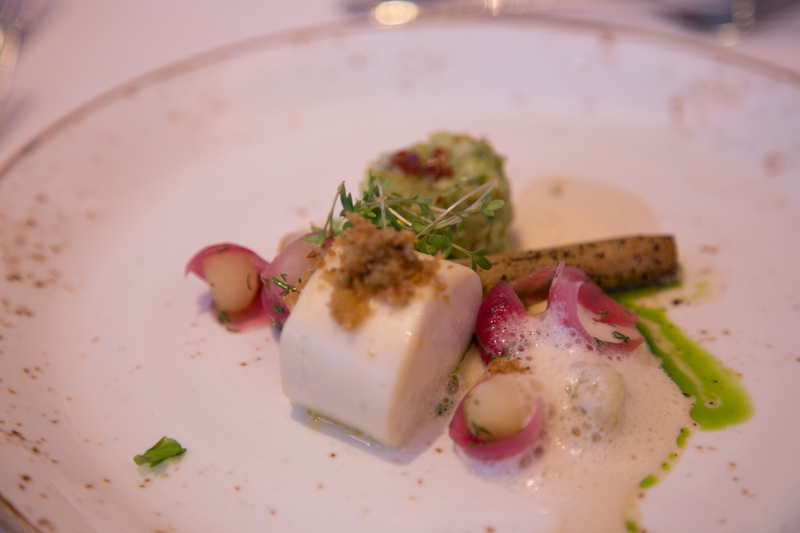 Furthermore, Viktor was selected Iceland’s Chef of the Year in 2013 and Nordic Chef of the Year in 2014. 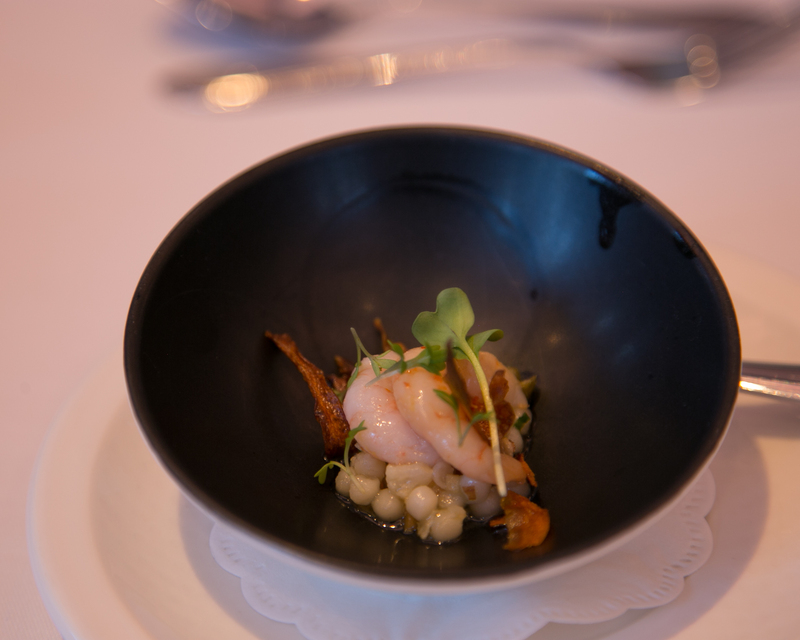 I enjoyed a sensational four course tasting menu, that began with a snappy shrimp appetizer, followed by a melt in your mouth scallop that was swimming in a foamy sauce. 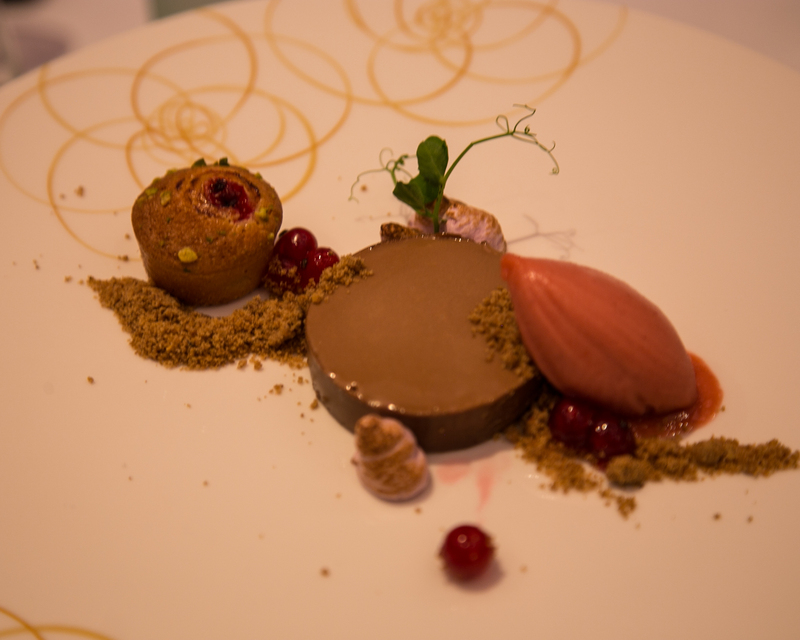 My entree was rack of lamb with Sunchoke, pickled red onion, grapes, almond, chives and finally, the Nordic Chef of the year 2014 dessert: Cranberries and organic dark chocolate Marzipan, lemon, hazelnuts, meringue. This meal was a fitting way to end the iconic visit to the Blue Lagoon. While on my trip, I learned many things about geothermal energy. 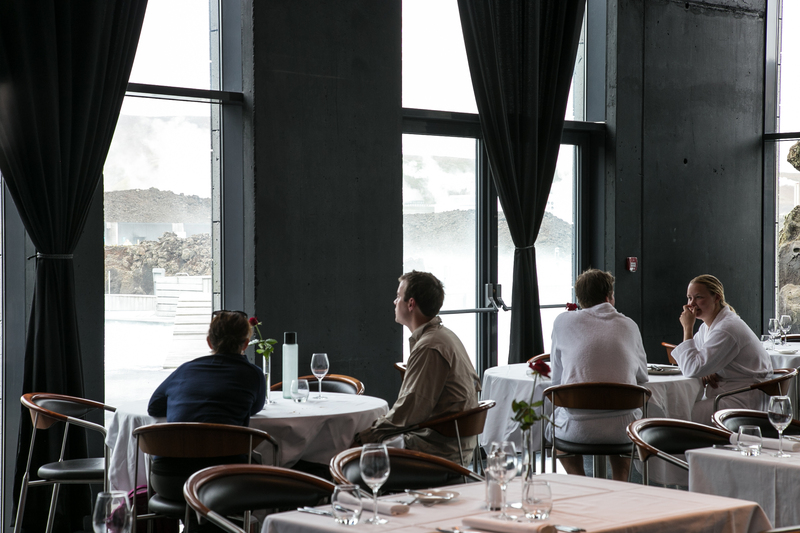 In Iceland, all heated water used in homes and business comes from Mother Nature’s resources. Ninety-five percent of Iceland’s electricity is generated by geothermal and hydroelectric plants. The country has so much natural energy that pipes running under the streets in Reykjavik warmed them so snow doesn’t have to be plowed. The small country (about the size of Kentucky and only a five-hour flight from NY) is crammed with dramatic natural wonders and eco-adventures such as hiking on volcanoes, lava fields and glaciers and viewing gushing waterfalls, boiling mud pots and steam vents. 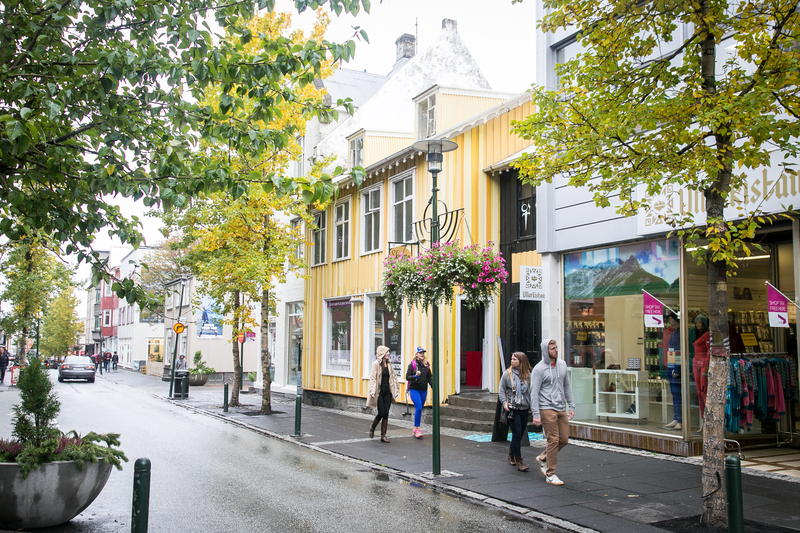 The people are friendly and thankfully speak English as the Icelandic language abounds with long words practically impossible to pronounce. And, the city and rural residents all seem to believe in “Hidden People” or elves passed down in stories from their ancient folklore. Truly, Iceland is irresistible, a must-see. 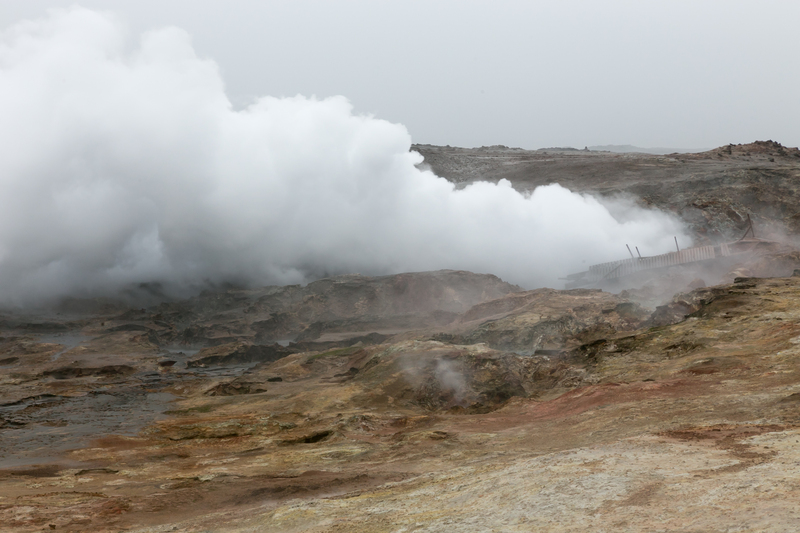 A Steam Vent in Iceland produces geothermal heat.